Students of the Month for October were selected from Sarah Lawson's fourth grade class at Matthews Elementary School. Pictured with their plaques are Alyssa Hammock and Dalton Walters. SIKESTON -- Betty Lue Saulsbery, 73, died Dec. 1, 2014, at Missouri Delta Medical Center. For the complete Standard Democrat obituary log in to our electronic edition. SEBRING, Fla. -- Mildred Foster Hitt, 91, died Nov. 25, 2014, at The Palms Retirement Center in Sebring. For the complete Standard Democrat obituary log in to our electronic edition. LOWNDES -- Karen "Carolyn" Coram, 63, died Nov. 29, 2914, at Barnes-Jewish Hospital in St. Louis. For the complete Standard Democrat obituary log in to our electronic edition. DWIGHT, Ill. -- Ruby Semlar, 93, died Nov. 30, 2014, at her daughter's home in Charleston, Mo. For the complete Standard Democrat obituary log in to our electronic edition. SIKESTON -- Araceli "Shelly" Kuhnell, 56, died Dec. 1, 2014, at her home. For the complete Standard Democrat obituary log in to our electronic edition. TUCSON, Ariz. -- Rachel Ellen Paynter, 28, formerly of Lilbourn, Mo., died Nov. 22, 2014, at her home. For the complete Standard Democrat obituary log in to our electronic edition. DEXTER -- Hazel Verda Ross Pratt, 97, died Nov. 30, 2014, in Dexter. For the complete Standard Democrat obituary log in to our electronic edition. DEXTER -- Chester Gary Cravens Sr., 81, died Nov. 29, 2014, at Saint Francis Medical Center in Cape Girardeau. For the complete Standard Democrat obituary log in to our electronic edition. NEW MADRID -- Linda Sue Prince, 68, died Nov. 30, 2014, at Saint Francis Medical Center in Cape Girardeau. For the complete Standard Democrat obituary log in to our electronic edition. HOT SPRINGS VILLAGE, Ark. -- Frank William Kroetz, 87, of Hot Springs Village, died Nov. 28, 2014. For the complete Standard Democrat obituary log in to our electronic edition. EAST PRAIRIE -- Mary Ellen Banks, 66, died Dec. 2, 2014, at her home. For the complete Standard Democrat obituary log in to our electronic edition. HAYWOOD CITY -- Tyrell De'Von Banks, 22, died Nov. 30, 2014, at Missouri Delta Medical Center in Sikeston. For the complete Standard Democrat obituary log in to our electronic edition. 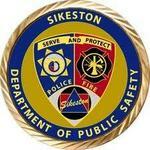 SIKESTON -- Jackie Johnson, 54, died Dec. 2, 2014, at Missouri Delta Medical Center in Sikeston. For the complete Standard Democrat obituary log in to our electronic edition. CAPE GIRARDEAU -- Bishop Don Lance Weakly, 68, died Nov. 30, 2014, at Southeast Missouri Hospital in Cape Girardeau. For the complete Standard Democrat obituary log in to our electronic edition. POPLAR BLUFF -- Georgia Taylor, 55, died Dec. 2, 2015, at her home. For the complete Standard Democrat obituary log in to our electronic edition. DEXTER -- Vivian Nadine Adkins, 97, died Dec. 1, 2014, at the Crowley Ridge Care Center. For the complete Standard Democrat obituary log in to our electronic edition. POPLAR BLUFF -- Mary Lea Simmons Bland, 88, died Nov. 30, 2014, at her home. For the complete Standard Democrat obituary log in to our electronic edition. SIKESTON -- Geneva Lambert, 92, died Dec, 2, 2014, at her home. For the complete Standard Democrat obituary log in to our electronic edition. CHARLESTON -- Carol Jeanette Lawrence, 50, died Nov. 30, 2014, at her home. For the complete Standard Democrat obituary log in to our electronic edition. SIKESTON -- Gene L. Annesser, 79, died Nov. 30, 2014, at his home. For the complete Standard Democrat obituary log in to our electronic edition.